The High School Federation Basketball Tournament just ended, March Madness is down to it’s final four and athletes competing in spring sports should be taking the field. But, most of the fields are still covered in snow thanks to a doozy of a snow storm earlier this month and lacrosse, baseball and softball teams are scrambling to find suitable places to practice, let alone play in real games. 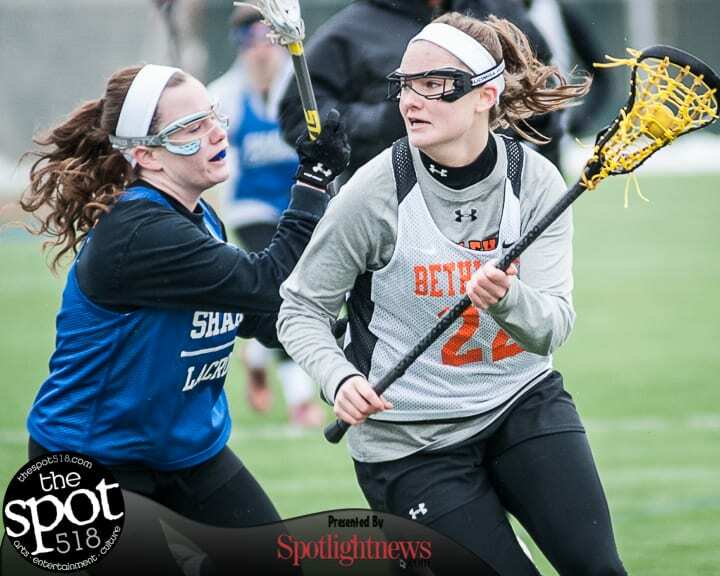 On Sunday, March 26, eight girls lacrosse teams went to two plowed off turf fields at Rensselaer Polytechnic Institute in Troy to play against each other for 25 minutes at a time. There were officials, but the score wasn’t kept for each mini-scrimmage. There are a host of games and meets slated for this week, but the weather will play a large part in determining if they are played.